We believe that our kids are not just the future of the Church, they are the Church. Kalos Kids ministry is a place where all children can learn about the beauty of Jesus in a safe, loving and age-appropriate environment. It's an environment where kids learn the legacies of previous generations while actively building their own faith in God. We believe every child should experience the love of God at Kalos Kids ministry, and that they can lead the way to God-sized adventures! 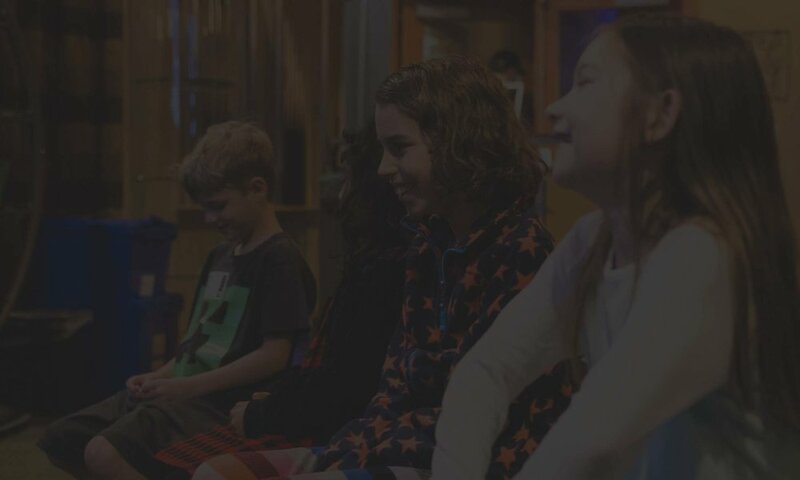 Every Sunday Kalos Kids have an absolute blast learning about God's love, and are encouraged to building a lifetime of faith in Christ. Through Bible lessons, prayer, songs, fun games and activities, we create adventures and form friendships to build a beautiful community of believers. Kalos Kids have an absolute blast learning about God's love here!! We believe very young children can experience the beauty of Jesus. Our 6 months - 4 year old class is aimed to provide a safe, enriching experience for children to learn about the love Jesus through singing, playtime, reading, prayer - even dancing! This is such a special age to lay the foundation for faith, love and adventure, and our team of volunteers is ready to offer just that! We provide a comfortable and private nursing and changing area for parents of young children. Find a Kalos Kids ministry team member to assist you in getting set up so you may care for your children in this room. Elementary age children are ready to embark upon a lifetime of faith, and our Kalos Kids team is ready to help them grow and glow! Every Sunday we offer tons of activities, games, even crafts, but most importantly we take time to learn, discuss and build a solid faith in Jesus. We worship, read the Bible and pray together. Every moment of our service with these children is an opportunity to help encourage a future generation to live a life of faith, love and adventure with God! Once a month we offer Family Sundays which is when our elementary-aged (K-5th grade) children sit with their families in the main Kalos adult service. We see this as a perfect opportunity for families to worship TOGETHER! We believe when children witness their caregivers and community coming together to worship God, listen to God’s Word through the message, and build relationships with like-hearted families, they are more likely to establish a lifetime of sustainable faith in God. We also take the opportunity to spotlight Kalos Kids ministry on Family Sundays so the church as a whole understand what’s happening in our Kids ministry! Kalos Kids receive the legacies of previous generations while actively building their own faith in God. Understanding prayer, worship, the Bible, community and themselves, helps build a solid foundation for a lifetime of sustainable faith. Kalos Kids discovers the love of God and is surrounded by a safe and loving community, allowing kids to be nurtured and thrive. Kalos Kids know that they are in the center of Christ's love, they are highly valued and are a vital part of our world. Kalos Kids lead the way to adventure because they know life is meant to be explored and experienced! They are natural adventurers, always curious and creative. Through playtime, questions, participation and learning, they connect to God and who He created them to be. And we never go alone; we always adventure together with our friends! Join the Kalos Kids mailing list. We send out info, announcements and fun activities for you and your kids. We promise not to spam you. Our list get's an email only about once or twice a month.